12' x 24' curved edge mirror. 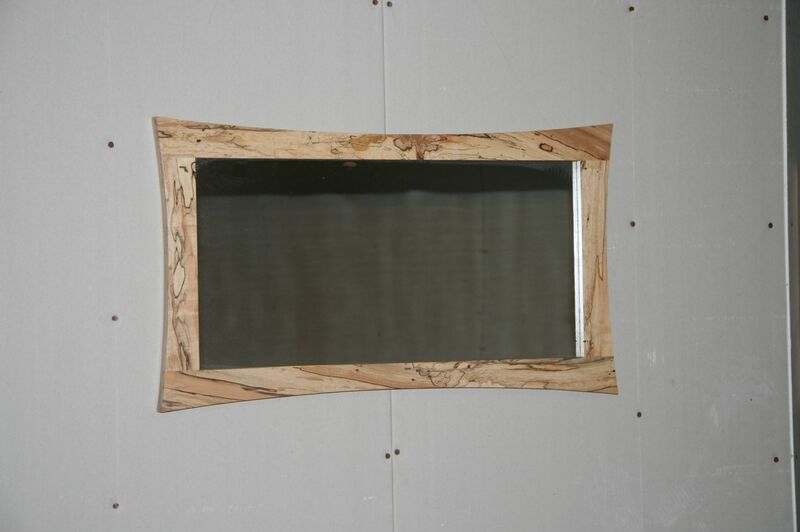 The curved edges of this mirror give it a flowing sleekness and modern look. I start with logs and mill all the wood I use from that log. I let them dry for a couple of years and then I process them as needed. The wood I have for this mirror is spalted maple (Which is maple that has been attacked by fungus and begun to decay but the decay is halted by removing moisture from the equation). 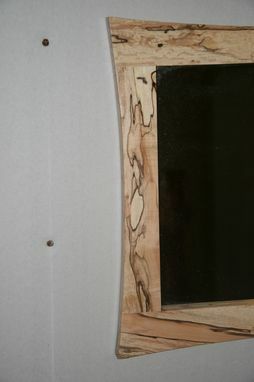 Like everything I make, the frame is finished in clear satin acrylic, to let the natural beauty of the wood be the focus. The mirror can be hung vertically or horizontally. The overall size is 28" x 16".